Connie & Ted’s is perfect for your next celebration or event! 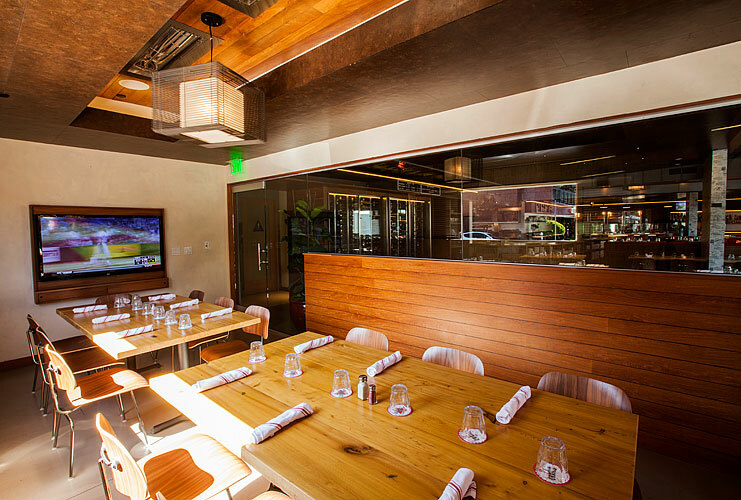 Our private dining patio is equipped with a large screen TV to rent for video presentations and seats up to a maximum of 16 guests. We have a small, open kitchen and everything is made fresh to order in front of your eyes. In order to streamline and provide the best service possible, we’ll provide a custom menu. It’s smaller than our regular menu, but will be specially designed by our chef to consist of our most popular items. For reservations or more information, please email Colleen at [email protected] or call (323) 848-CRAB (2722).